This Methodist Church is along Route 522 as it passes through the small town of Sperryville in Rappahannock County. Built in 1915, it is described as "country Gothic style" in a description of the Sperryville Historic District. 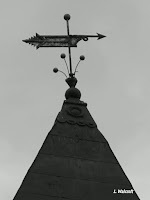 My camera angle (looking upward) resulted in inward-leaning lines but that weather vane was slanting already. Wait a minute, why a weather vane instead of a cross? I don't know. Next door to the church is a fine red barn or stable. 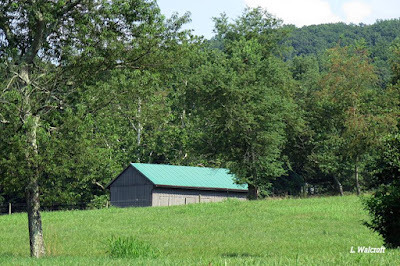 Since I'm sharing this post with the Barn Collective as well as InSpired Sunday, here's one more barn from the same county. 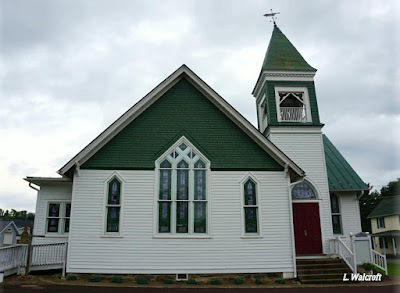 Beautiful church, and love the red barn! I love old country churches and barns. Lovely photos! Hello, beautiful church and barn! 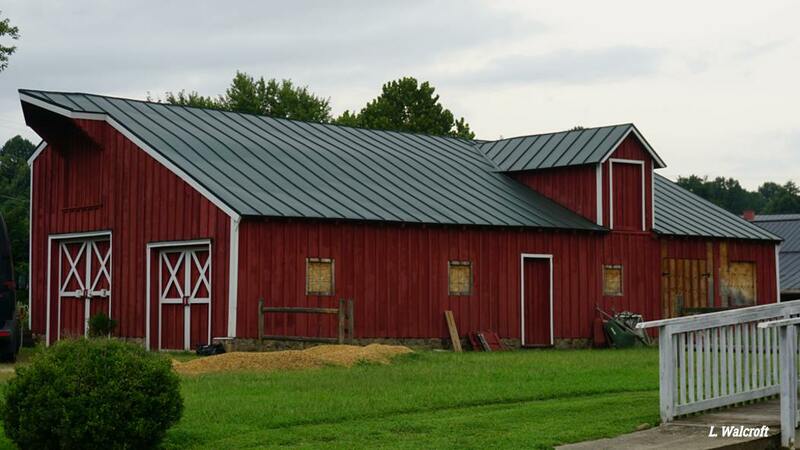 I love red barns. Happy Monday, enjoy your day and new week ahead! ...great collection Linda. I love the white and green church and its weather vane. That red barn sure pops. Thanks for the visit. That is a pretty church. A very pretty little church! Lovely church and red barn too! The little church is a beauty as is the barn. The church looks good, and so does the red barn.